I’ve been a huge fan of Nick Cave since 1994 when he and The Bad Seeds released their album ‘Let Love In‘. And over the past twenty years, I have purchased his music on vinyl, CD, and digitally. 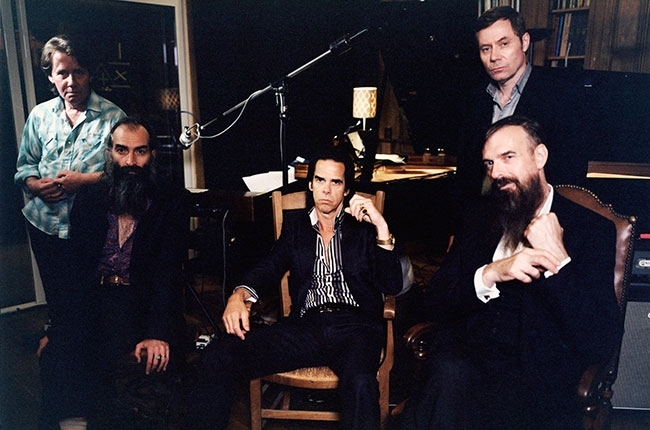 Nick Cave is not only one of the coolest people on the planet and a legendary musician and singer, but he is also a filmmaker who often collaborates with the amazing Warren Ellis. For those of you who are unfamiliar with Nick Cave, he looks like what Spock would look like if he went goth in the Wild West and had feelings. You might have heard a song of his in a variety of horror films called ‘Red Right Hand‘, which was featured in the hit Wes Craven movie ‘Scream‘. And I was upset I missed his amazing show from his recent album ‘Push The Sky Away‘ when it came to Dallas, but a friend and fellow writer went to the show, got first row, and shot a a few clips for the site, which you can see HERE (Amazing, right?). But when I realized Drafthouse Films was releasing a documentary about Cave, I thought I had just won the lottery, because it’s not every day where we get an in depth look at the man behind the music. But like all of Cave’s work, this is not your standard format documentary. It’s an acid trip and fantasy ride through a patch in Cave’s mysterious life. The Australian rock legend’s fan base has multiplied over the years and he still has one of the biggest cult followings ever in the music industry. 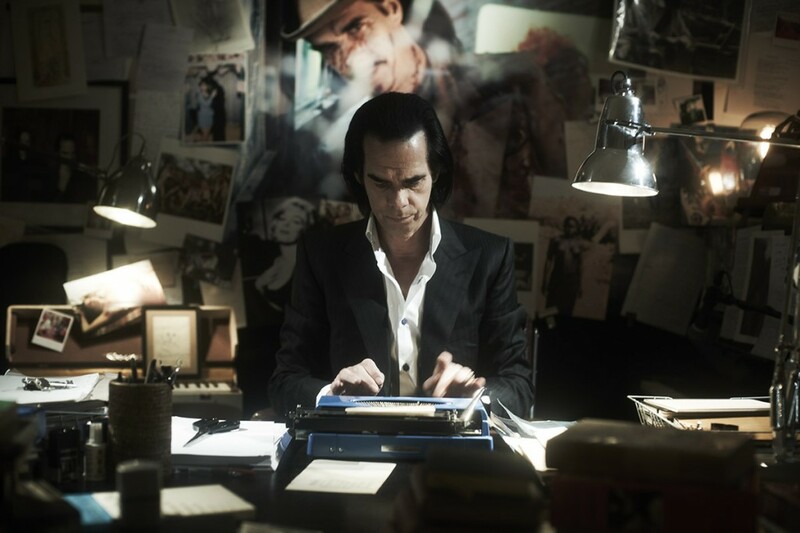 This new film called ‘20,000 Days on Earth‘ is a breath of fresh air in the documentary world, as Nick Cave plays a very real version of himself as his surroundings coax information out of him. The film opens up with a montage of dozens of screens, displaying things from history, which segues into clips of Cave (similar to how Michael Jackson started his last concert tour), and has Cave waking up in his bed next to his wife, narrating that he is an alien and has been on Earth for 19,999 days. He then goes to the window and opens the curtain to reveal a bright never ending light, which is similar to the cover of ‘Push The Sky Away‘. And it only gets better from there. Instead of having talking head interviews with Cave, his bandmates, and friends and family, we take a journey with cave as he drives his luxury car and is visited by hallucinations, friendly encounters, poems, and even a fictional therapist played by Darian Leader who has Cave talk about his childhood and career. It’s quite brilliant really, but you can’t expect anything less than brilliant from Nick Cave. The film is constructed in such a way, that you feel like you received all the information you ever wanted to know about Cave himself, but are also treated to one of the most stylish films to come out this year. And don’t worry, you’ll get a healthy does of Cave playing instruments, singing, and even a few songs from a live performance where he sings his version of Stagger Lee. It was epic. One of the funniest parts was where Cave was writing and playing the piano, coming up with sounds and lyrics that was eerily similar to a famous Lionel Richie tune. It was quite humorous. Whether you are a Nick Cave fan or not, this film delivers the goods on every level both stylistically and story-wise. And it once again proves that Nick Cave is still a creative genius, mad scientist, and one hell of a musician. This entry was posted on Monday, September 15th, 2014 at 3:53 pm	and is filed under Film, Music, News. You can follow any responses to this entry through the RSS 2.0 feed. You can skip to the end and leave a response. Pinging is currently not allowed. « MTV Picks Up Comedy ‘Ken Jeong Made Me Do It’!! !